Colorado Parks and Wildlife is asking visitors to John Martin Reservoir State Park to help protect two rare birds that nest on its shores. 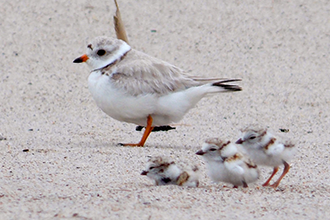 In what's become an annual ritual, CPW has closed access to some shoreline areas to protect the nests of Least Terns and Piping Plovers, which are federally protected as endangered and threatened species. 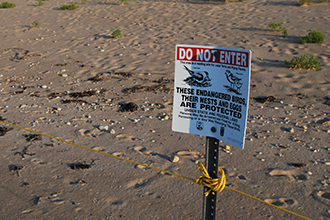 CPW is using signs, lines of buoys, temporary fencing and orange bailing twine to mark the nesting areas. The goal is to provide undisturbed places where the birds can lay eggs, incubate and fledge their young. Closures will be erected as active nests are found and barricades will remain up through mid-August, when the young leave the nests. "These are small birds that require beach and shoreline areas to nest," said Ed Schmal, a CPW conservation biologist. "We will mark the nesting areas the best we can." Schmal said visitors are asked to be vigilant even beyond the closed areas. "These birds are really good at blending into rocky and sandy shorelines," Schmal said. "So, we are asking visitors to be on the lookout for their hard-to-see nest scrapes and eggs in other areas, as well." The closures can range from small parcels up to 15 acres in size. Due to high water levels this year, most nesting will occur on the north shore and islands. Even so, a majority of the shoreline will remain open to recreation. 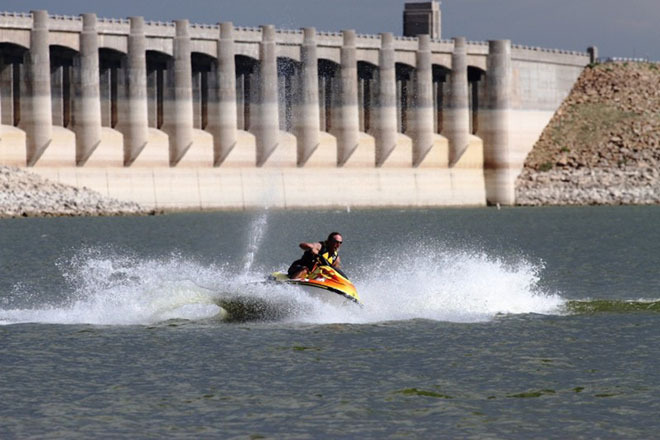 "By making targeted closures, we are able to provide for the needs of the birds and still offer a high-quality recreation experience for those that love to visit the reservoir," Schmal said. The Least Tern is a small, swallow-like bird with black outer wing feathers that is sometimes seen diving head-first into the water after fish. The smallest of the North American terns, it can be identified by its distinctive black crown, white forehead and black-tipped yellow bill. It is listed as an endangered species under the federal Endangered Species Act. The Piping Plover is a tiny shorebird with pale brown and white plumage, a black neck band and a black bar across the forehead. They typically nest on sandy beaches or river sandbars that are free of vegetation, relying on their cryptic coloration as camouflage from predators. It is listed as a federally threatened species. 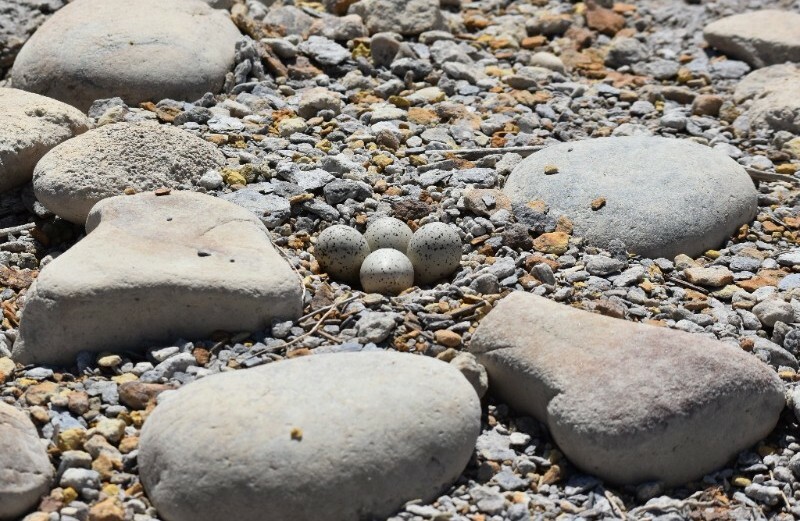 Protecting nesting areas is the most effective way to support the recovery of Least Tern and Piping Plover populations, biologists say. In Colorado, the Least Tern and Piping Plover are found only in the southeast part of the state. They can also be found in other states with adequate shore nesting habitat. Schmal warned that disturbing a closed area, allowing dogs to run off leash or violating road closures can result in citations for offenders issued by CPW officers and Army Corps rangers. A pamphlet and a map explaining the closure areas is available at the park entrance station and volunteers will be working to educate visitors about the protections that are in place.